Thieves escaped with a number of power tools when they broke into a string of parked vans in Warnham on Friday night. 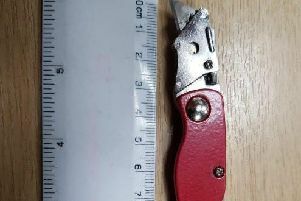 Police say the tools were stolen from a Ford Transit Connect van in Lucas Road sometime between 6.30pm and 9.50pm. Meanwhile, a Peugeot Partner van - also parked in Lucas Road - was broken into at about 9.45pm but nothing was stolen. Another Ford Transit van parked in nearby Tilletts Lane was also broken into overnight but nothing was taken.